A visitor to London, exploring the Borough of Lambeth, and having visited Brixton, can take any one of several buses (159, 133, 333, 118) southwards to Streatham Hill. The railway station here opened in 1856, as part of the West End of London and Crystal Palace Railway, the arrival of which made this area of south London more attractive to London's burgeoning population of commuters. Even before this, however, horse-drawn omnibuses had opened up Streatham to residential development; and, going back to the Eighteenth Century, it was a place to which Londoners came to "take the waters" from local springs; and where the wealthy built their mansions, away from the smoke and noise of the City, yet close enough to commute on horseback, or by carriage. 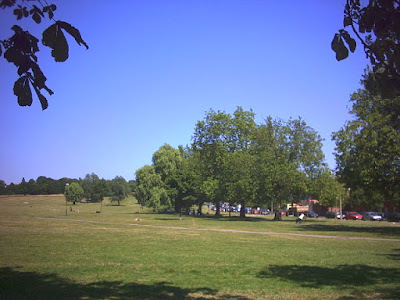 The current A23 (Streatham Hill, which becomes Streatham High Road as we move south) was a minor Roman Road connecting London to Portslade (now part of Brighton and Hove) on the south coast. In the Seventeenth Century, it was "improved" as a coaching route running through Croydon and East Grinstead to Lewes and the port of Newhaven. England's first supermarket (Express Dairies Premier Supermarket) opened here in 1951. The stables of the Red House Coaching Inn, Streatham, by William West Neve, 1884. Image: Praefectus Fabum (licensed under CCA). 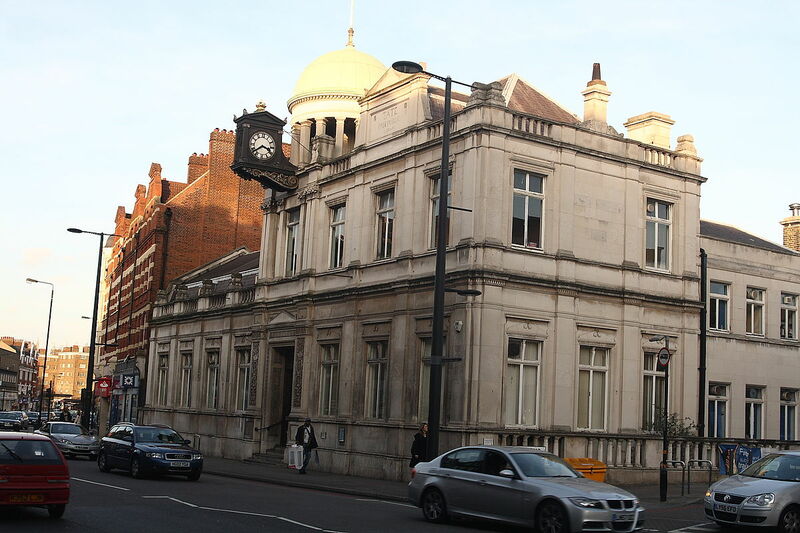 Streatham Public Library. Photo: Matthew Black (licensed under CCA). 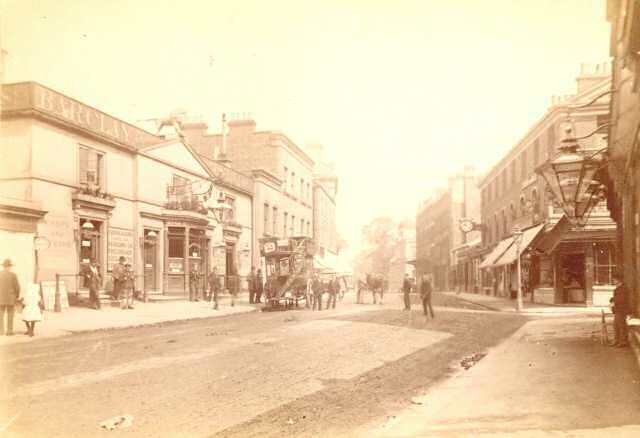 Streatham High Road in 1895 (image is in the Public Domain). 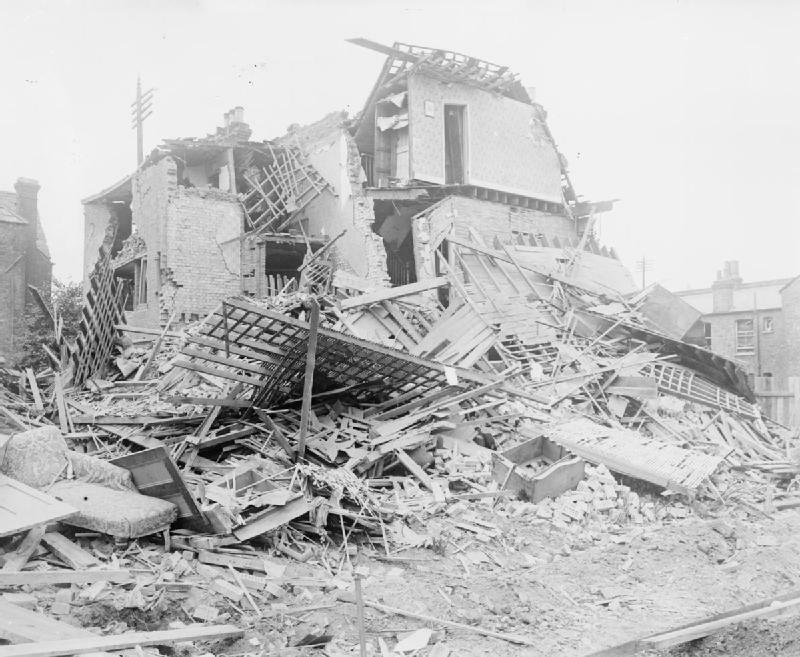 Bomb damage in Streatham, caused by a German Zeppelin raid in September, 1916. Photo: Imperial War Museum, HO 101 (image is in the Public Domain). To the east of the road, two churches stand opposite one another. 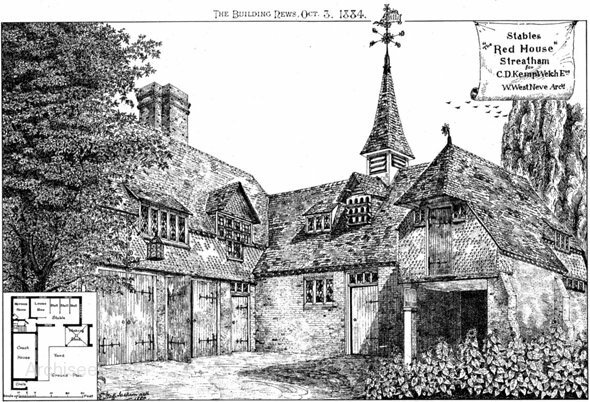 Saint Leonard's dates back to Saxon times (Estreham is mentioned as a village in the Domesday Book of 1086, its sheep producing wool to make habits for the monks of Bec-Helloun Abbey in Normandy), but only the Fifteenth Century tower predates 1831. The second, taller, church is the Roman Catholic Church of the English Martyrs, opened in 1893, to serve the large community of Irish origin, many of whom worked on the railways which their grandfathers and great-grandfathers had helped to build. Saint Leonard's Church. Photo: Robert Cutts (licensed under CCA). 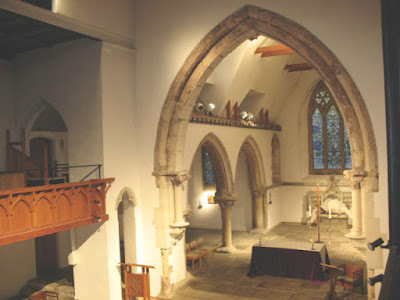 The interior of Saint Leonard's Church. Photo Stephen Craven (licensed under CCA). Continuing south along the road, and passing Streatham railway station on the right, we come to Streatham Common, one of the many green spaces that make the London suburbs a pleasant place to live. 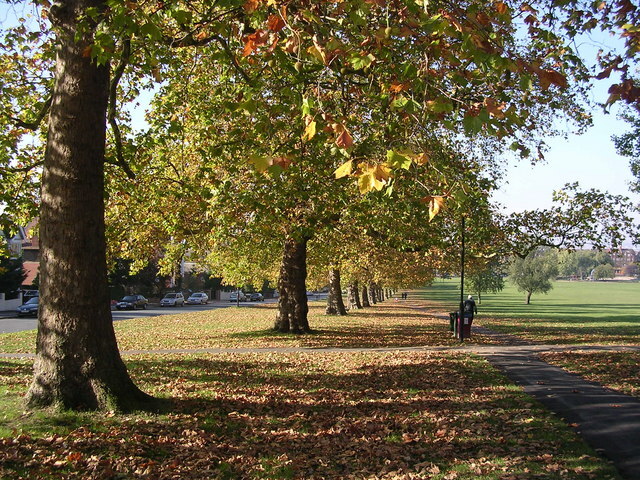 Most of its mature trees were planted in the late Nineteenth Century. 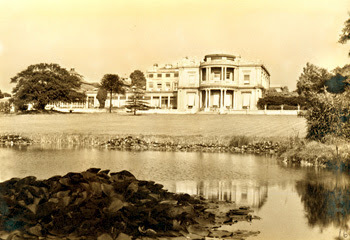 Overlooking the common is Park Hill House (not accessible to the public): it was built, in 1830, by the banker and silver-merchant, William Leaf; but was home, from 1851 to 1899, to the sugar-merchant and philanthropist, Sir Henry Tate. Born in Liverpool, the son of a Unitarian minister, Tate was a self-made man, who endowed not only Streatham's and Brixton's public libraries, but also the Tate Gallery, Liverpool Royal Infirmary, Liverpool University, and the University of London's Bedford College for women. Streatham Common. Photo: Noel Foster (licensed under CCA). Autumn on Streatham Common. Photo: Nicky Johns (licensed under CCA). Park Hill House, Streatham (image is in the Public Domain). 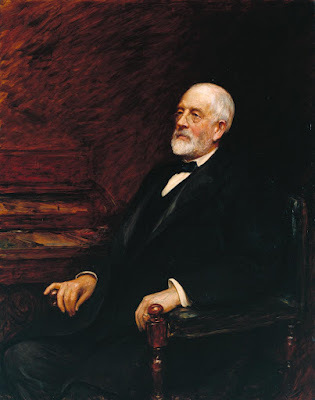 Sir Henry Tate, by Sir Hubert von Herkomer, 1897. Image: Tate Britain (Public Domain). 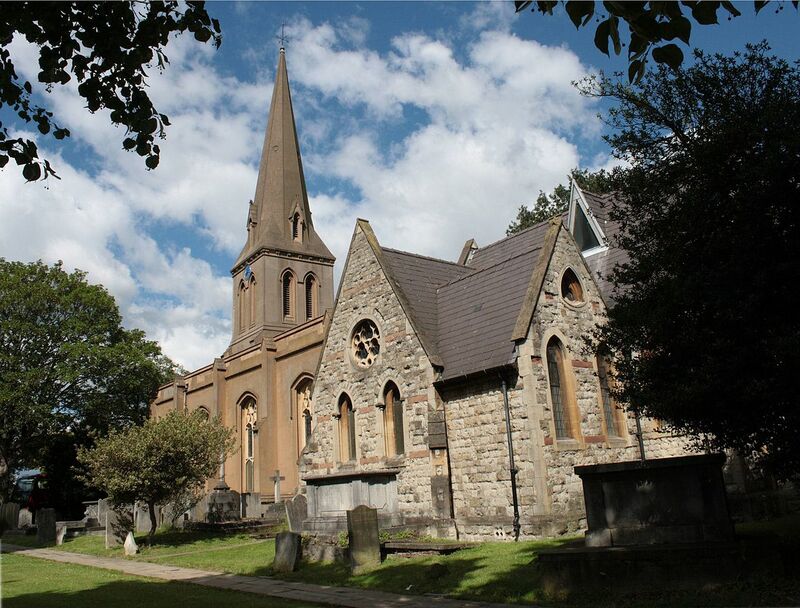 We have now completed our exploration of the Borough of Lambeth. From outside Streatham railway station, one can take a bus (159, 133, or 118) back to Brixton, and then the Victoria Line to Vauxhall, walking across Vauxhall Bridge into the City of Westminster. I always enjoy your tours, Mark. Thank you!